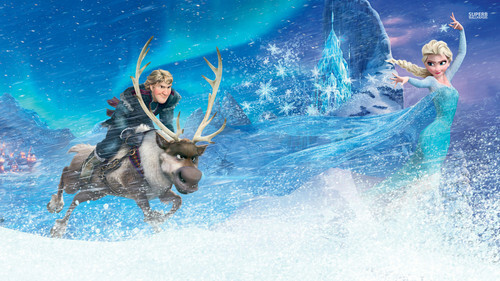 La Reine des Neiges. . HD Wallpaper and background images in the Disney club tagged: photo frozen kristoff sven elsa. This Disney wallpaper might contain caribou, le renne, le caribou groenland, rangifer tarandus, renne, caribou du groenland, and rennes.